Hello Readers! This article is a feature interview of our ex- DCTian, whom we fondly revere as ‘The Webber’, simply because he lives, eats and sleeps to facilitate the web. 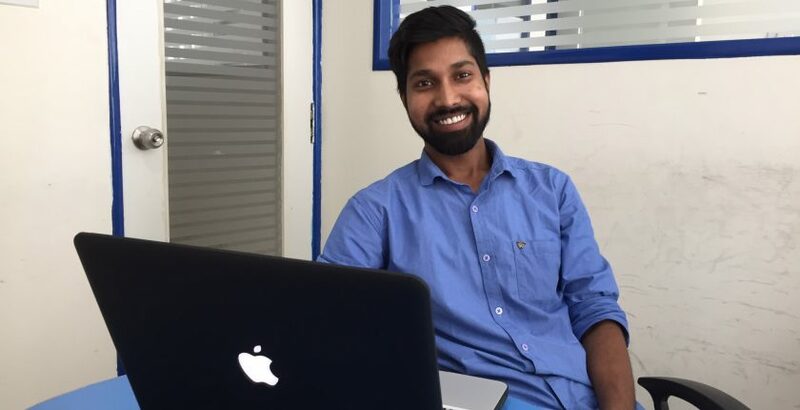 Anil, a fresh engineering graduate, had come all the way from Delhi NCR region looking for a job in Bangalore. After a short stint working as a free-lancing front end developer, he decided to learn the web in whole by learning to code on the backend as well. It was no surprise that he decided to learn Ruby on Rails. He enrolled with us to study the same and learnt it at an astonishing pace. Let’s hear more from this young passionate person. Hey Anil! Can you tell us something about yourself? Hi, well I am a computer engineering graduate hailing from Delhi NCR region. I came to Bangalore in search of a job as soon as I was done with engineering. Back then I used to do a lot of free lancing work on the front end side. However I realized companies look for more proficient full stack developers who are much in demand. During my college days, I had submitted my academic project which was built using ruby on rails with the help of my friend. I was surprised with the sheer ease, capacity and speed with which the application was built by using ruby on rails. I was hooked to it and wanted to get formally coached on it. Hence I enrolled into DCT academy to learn it. Why did you decide to study with us? As I mentioned my interest on Ruby on Rails started in my college days. However I couldn’t find a suitable trainer for me. I had looked up the entire web to find a lot of trainers, but was unconvinced by any. Incidentally I came across Aniruddha’s profile on urban pro. He had excellent reviews. I contacted him immediately and spoke to him for almost forty five minutes throwing all my doubts on the table and he graciously cleared all of them. My initial inhibitions were shattered and I felt very comfortable with his approach. My goals and his pathway for me seemed aligned. I realized he would be the most appropriate trainer for. So I joined DCT immediately. How has your time in DCT helped you? It was an endearing period for me. I learnt so much. Aniruddha himself has a vast and profound pool of knowledge with him. His compassion for programming is very infectious. On every class we will work with something new and implement it on a live project. His assignments were rigorous, yet fun and pertinent. I found myself really enjoying what I learnt. Over a period of time, he became my most trusted mentor. After the course, under his guidance and co – working with a batch mate, I successfully delivered a real time project. Not only that, I got an excellent job opportunity with a very good package through his contacts. It was really a prevailing moment for me. What are the things you feel you will take with yourself from DCT? Oh there are several things which I have taken with me. The prior most one is the ability to share knowledge. 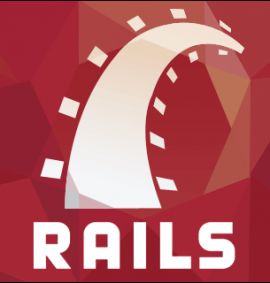 I feel that I have become really good with ruby on rails and often help others to achieve complicated tasks. Secondly I realized it is very important to clear your basics. Higher end programming is an excellent tool to build anything. But if you haven’t cleared your basics, all these tools would seem futile because you would unable to achieve things. That capability was imbibed in me with the help of Aniruddha. And lastly I was taught the importance of perseverance and the necessity to keep one-self constantly upgraded. These are the things that I value the most. What suggestions would you like to give for fresh aspirants and young developers like yourself? I believe that anybody can learn programming. But to achieve great things you need an amazing mentor who can constantly guide you. I found my mentor in the form of Aniruddha and he has been a constant source of inspiration for me to do well and push myself. It has cleared the hurdles from my path to a great deal. So to all the young aspirants, I urge you to find yourself a correct mentor. It will make things so much easy for you. Secondly I would suggest them to love what you do. Only then you can do great things on it. Would you like to recommend DCT academy to anybody else? That goes without saying. In fact, I constantly keep urging several of my comrades and juniors to join DCT, because I am pretty sure that they would be successful here with the kind of exposure you get. The constant support that you get here is something you will miss in most academies. So yes, join DCT and become successful would be my favorite motto.